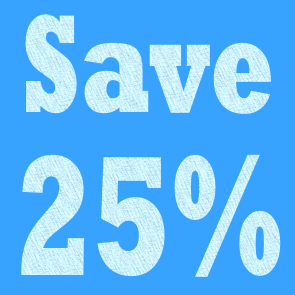 The Course25 consists of 25 tuition hours/week given Monday to Friday from 9 am to 1 pm in the Course20 + 5 hours PC-course or as private classes with a teacher. 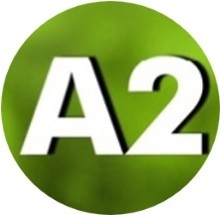 It is given all year round in levels A1 to B2 in the Course20 and private lessons, and A1-A2 in the PC-course. *Level C1 is given from October to March. This level is also given all year round as a private or semiprivate course. Length of levels: 4 to 5 weeks. 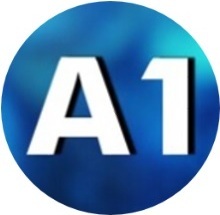 C1 consists of two blocks of 4 to 5 weeks each. See calendar here. Starting dates for beginners: first Monday of every month. Beginners with some knowledge can join the group one or two weeks later. Starting dates for other levels: any Monday. The course can be booked as of 1 week. Groups consist of maximum 14 students in the Course20. Private lessons are given one-to-one with a teacher. For the PC-course, every student works individually on his PC. All classes pertaining to bank holidays are made up during the same week with one more hour on the other working days. 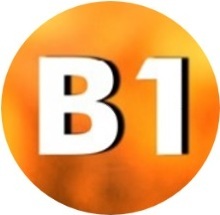 There are no assessment tests during the course. 1 tuition hour: 50 minutes. Tuition is given in Spanish. There is no booking fee. All prices are net in euros. Tuition material and certificates are not included in the price of the course. You can lease the student book with a deposit of 30 Eur. On returning the book we reimburse 20 Eur. 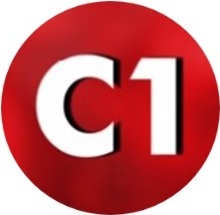 Level C1 consists of two blocks (C1 Avanza and C1 Progresa). Each block has its own student book and exercise book. 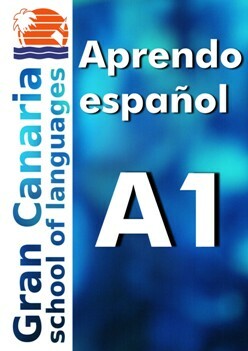 The Certificate of attendace is not included in the price of the course. This document is only issued upon request but only to students who attend at least 85% of their classes. It indicates the studied level, the objectives and contents of that level, the total number of hours studied and the course dates. Our Certificate of attendace is not valid as an official document in accordance with the legislation regulating non-accredited education. For an official diploma, click here. Please, take some time to do our online test before you send us your booking request. 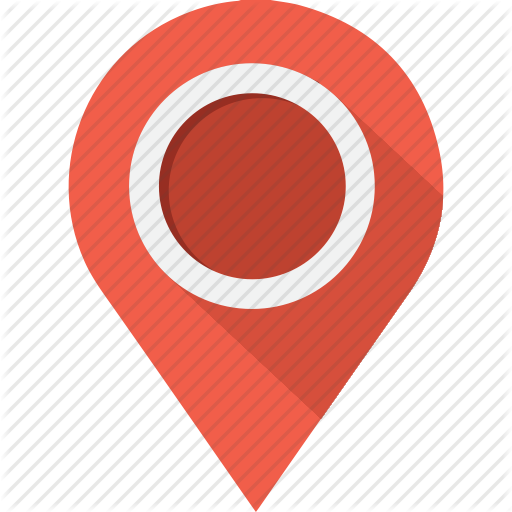 This will not only allow us to place you in your appropriate level but also to give you advise on the most convenient starting date for you. On your first day of class you will also do an oral placement test. The result of both your written test and the oral test will determine the level you are placed in. This agreement is legally binding once the school has received a student's signed enrolment form, either online or in writing, and implies full acceptance of these general terms and conditions. Likewise, the agreement is legally binding if the registration is made by telephone, once the data of the reservation have been taken and the payment (deposit or total payment) has been received. The total amount of the course (and accommodation) will be calculated according to the valid price list included this agreement. This amount must be paid in advance. The student will then receive the confirmation of his/her reservation request and an invoice. If payment of the total amount is not made within two weeks from the date of sending the reservation request, it will be deemed cancelled. Payments can be made in cash, by credit card or by bank transfer with no costs for the beneficiary. A paid course/accommodation or part of it is not transferable to another person. Minimum age to participate in a group course: 16 years. Minimum age to occupy a room in our accommodation: 18 years or younger accompanied by an adult. 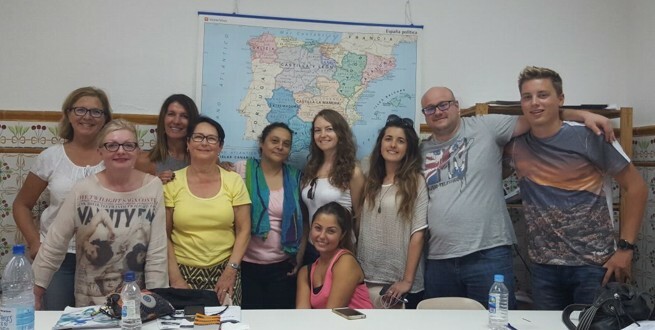 The school offers Spanish courses as non-accredited education all year round. 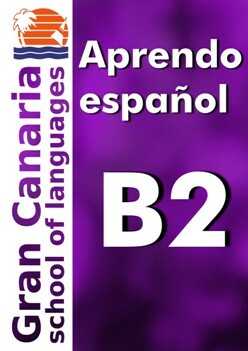 Course20 (Standard course) is offered from Monday to Friday from 9.00 to 13.00. Classes affected by bank holidays will be made up within the same week. Classes missed by the student are not made up or refunded. The maximum number of participants per group is 14. 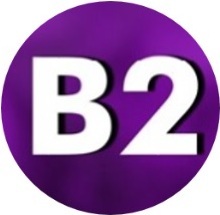 From A1 to B2, a complete level lasts 4 to 5 weeks. 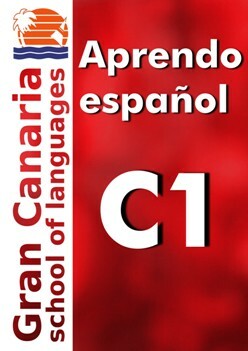 The C1 level consists of two blocks of 4 to 5 weeks each and is only offered from October to March. A class session lasts 50 minutes. Classes are taught in Spanish. STUDENT PLACEMENT: The distribution of the students in the different levels is the responsibility of the school and is based on strictly academic criteria. After the initial level test, interview and language needs of the student, the decision will be made to place him/her in the most appropriate level. CHANGES OF LEVEL: A student may request a change of level, but the change will be possible only with the approval of his/her teacher and the academic coordinator. In case the teacher and the academic coordinator consider that the student's language proficiency is not sufficient to step up to the next level, he/she will be required a level entrance to test his/her production and comprehension skills. Only students of the Standard Courses (groups) can hire Extra Classes. Starting dates for beginners in the group course: the 1st Monday of the month throughout the year. All rooms are non-smoking rooms. Rooms are given clean and re-cleaned on the 8th or 9th day. Bed linen and towels are included and changed with every cleaning of the room. The cleaning of the apartment with kitchen is not included. You can ask for an extra cleaning with change of bed linen and towels against payment. We do the laundry (not ironing) of your clothes against payment. No cooking is allowed in rooms without a kitchen. Accommodation includes breakfast on school days (not for the apartment with kitchen). Half board is optional: lunch on school days and dinner only on weekends and holidays. The price of the course does not include: tuition material and certifications. Students may book a double room in the company of someone who does not attend a course. Students up to 25 years of age may book a shared room. Accommodation payment is made for full weeks starting on Saturday / Sunday at 12 noon. Rooms must be vacated on Saturday / Sunday before 10:00 h.
Smoking or making fire is not allowed in the school or in the accommodation. Animals are not allowed. CANCELLATIONS: For cancellations received 20 days before the start of the course, the school refunds the amount paid for classes and accommodation less 10%. If the cancellation is received later, the school refunds the amount paid less 20%. No cancellations will be admitted if submitted after 4:00 pm (GMT or CET-1) of our last working day prior to the starting date of the course or arrival at the accommodation. 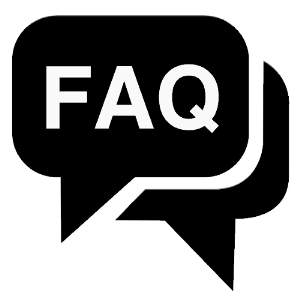 Private lessons will only be rescheduled with 24 hours’ notice, otherwise the will not be made up or refunded. Teachers’ waiting time is 20 minutes; after that, all classes scheduled for that day will not be made up or refunded. For long stays in our accommodation, the student can make changes or cancellations for the following month and claim a refund as long as he/she gives notice until the 15th day of the month prior to that change or cancellation. Of all the amounts that are returned, 20% will be deducted for administrative expenses. CERTIFICATE OF ATTENDANCE: The Certificate of Attendance can be issued at any time but only to students with at least 85% attendance. Our certificate is not an official document, according to the legislation that regulates non-accredited education. PROTECTION OF PERSONAL DATA AND IMAGE RIGHTS: the student, by accepting this contract, gives consent for his/her personal data submitted in the booking process to be included in a file owned by Gran Canaria School of Languages S.L.U, and processed in accordance with the new European legislation on the protection of personal data, Regulation (EU) 2016/679 of the European Parliament and of the Council of 27 April 2016 for the purpose of carrying out academic, economic and administrative management which is necessary for the organization and development of the academic activity of Gran Canaria School of Languages. During the time that the student is enrolled in the school, images of the students can be captured and used in the composition of graphic or video files prepared to inform or publicize activities organized by the school. 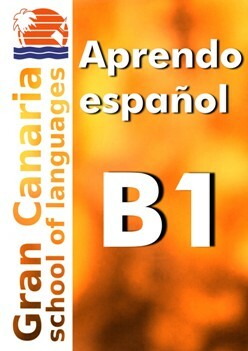 Dissemination can be done through publications on paper or the inclusion on the website www.grancanariaschool.com, social networks, as well as by publication in information leaflets owned by Gran Canaria School SLU. The treatment of student images is carried out in accordance with Organic Law 1/1982, of May 5, on civil protection of the right to honour, personal and family privacy, and the image itself, eliminating any captures or filming that might violate these fundamental rights. The images are not used for purposes other than those expressed above and may be transferred to third parties for promotional or advertising purposes. • Option 1: Students will be provided with a document upon request. STANDARDS OF BEHAVIOUR: Students are expected to behave appropriately and respect their peers and staff at our school. Inappropriate or offensive behaviour towards others or attending school under the influence of alcohol or drugs will not be accepted. 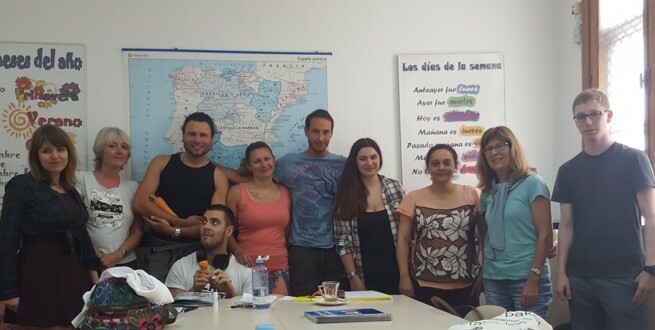 If a student behaves improperly with a classmate, teacher or staff member, he or she will receive a verbal notice from Gran Canaria School of Languages and will be warned in writing of the consequences of his / her actions, in order to correct his / her behaviour. If this does not happen after this first warning, the expulsion process may be initiated by the school, if necessary and according to the current legality. In case of violent acts, serious disturbance or threats to the physical integrity of other persons, the expulsion will be immediate. 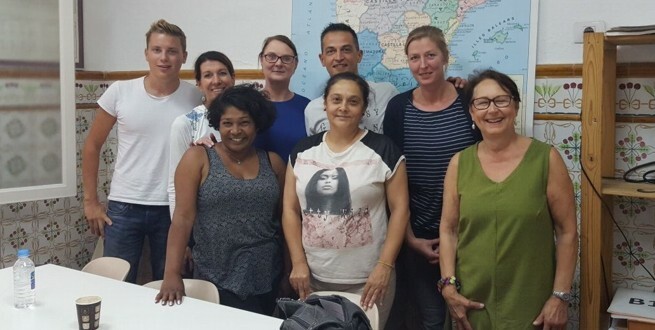 Gran Canaria School of Languages reserves the right to expel the student, both from the school and accommodation, in case of breach of any of the legal conditions, serious disciplinary infractions, or acts of violence towards other students, teachers or staff. Expulsion of a student implies loss of the right to financial compensation and exempts the school from any additional obligation. All costs and expenses (indemnities, fines, etc.) incurred by breach of the law will be borne by the student and if underage, their parents or legal guardians. 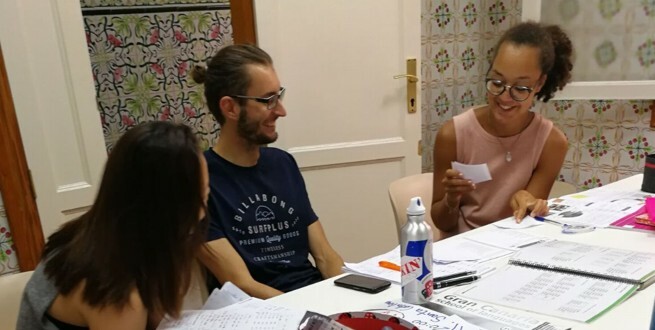 CLAIMS AND CONFLICT RESOLUTION: we have the necessary management procedures so that any problems that may arise during the student's stay are solved as soon as possible. In all cases, the student must report his/her complaints in writing and the school will reply verbally and also in writing, proposing reasonable options for the resolution of the complaint. No claim or complaint made after the end of the stay will be accepted if the school if the school has not been previously notified in writing during the student's stay. In case of not reaching a full agreement between both parties, the school offers, upon request, official complaint forms. For any dispute arising out of or in relation to this contract, the school is submitted expressly to the consumer arbitration system, through the corresponding Consumer Arbitration Board. The Spanish law applies to all relations between the student and the school and / or between service providers with the school, and all parties will submit to the jurisdiction of the Courts and Tribunals of Las Palmas de Gran Canaria. On the price list, click on the price of your chosen weeks. Your selection will show in the gray field under the price list. In the same field also indicate your dates. Click once on your starting date and click again on your ending date.